On Tuesday I reviewed Brenda Colijn's Images of Salvation in the New Testament. Brenda teaches with me here at Ashland Seminary. Today I am giving away a copy of the book. Put your name in the comment section below. I will take any and all names until midnight on Sunday (March 13). I will announce the randomly drawn winner sometime on Monday. 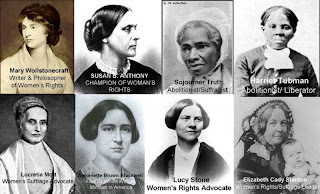 Last month was Black History Month and in honor of it I posted a tribute to African-American Biblical scholars. I listed as many of these scholars as I was aware of and provided links when I could. This month I would like to do the same for female biblical scholars. Since I am unaware of a published list of female scholars, I am in need of some help. I am aware of many of these women, but want to list as many as possible. With that in mind, please send me your nominations for female biblical scholars that should be listed and honored in March. I will compile the list and post it at the end of the month. Last week we looked at the practice of surrogacy as an option for the childless woman/couple. This week we shift gears to look at the situation of the childless widow. There is one other situation of childlessness in antiquity which adds another dynamic to the problem. The case of the childless widow raises a number of issues about how such a woman could benefit from her deceased husband when that man did not leave her with any children. Although she may have been the favored wife, without a son she has no rights of succession and thus is classified as a widow. The barren woman’s status was ambiguous. A woman’s status within the household depended upon her reproductive role, and until she fulfilled that role she was basically considered to be an outsider to her husband’s family. Thus a barren woman, although the primary wife, was not always guaranteed social and financial protection if or when she became a widow. The classification of “widow” was not the same as it today. In modern society “widow” is a label applied to any woman whose husband has died. But in the ancient world the classification was not so simplistic. In Babylonia, for instance, a woman was only designated as a widow if both her husband and father-in-law had died and she had no son to provide for her. Thus the root cause of the definition was not simply that she had been bereft of her husband but included a more nuanced social problem; she was lacking a male who was responsible for caring for her. Mesopotamian texts often portray the widow as poor, vulnerable and in need of protection. Her social position was shaky and she depended upon the kindness of those around her. The precariousness of the childless widow’s situation is illustrated in 2 Samuel 14:4-7. As part of Joab’s ruse to reinstate Absalom, he sends a woman to King David identified only as the widow of Tekoa. In her plea to David she describes how one of her two sons killed the other with the result that the clan demanded the execution of the surviving son. The woman’s request that her son be spared is based on her socio-economic situation. The surviving son, murderer that he may be, is the only remaining heir to her husband and thus her last means of support. Although the woman’s account is imaginary it does provide a window into the plight of the widow. A woman with grown sons had some protection, thus the prospect of losing them was especially bitter for a widow (c.f 1 Kings 17:17-24). 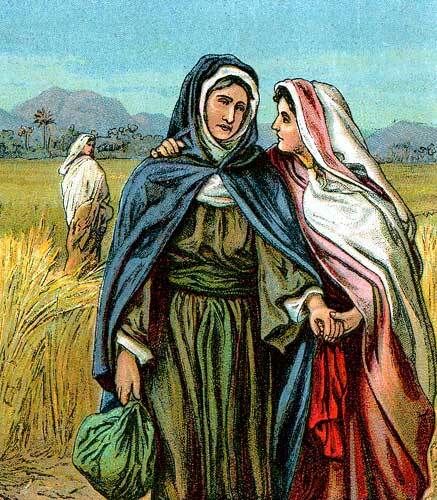 While some ANE societies allowed for the widow to receive a share of her husband’s property, the biblical codes make no such provisions forcing the childless woman to join the landless members of society who are entitled to humanitarian aid (Deut 14:28-29). Widows were among the recipients who received an allotment from the third year tithe (Deut 26:12). But descriptions of the treatment of widows in Exodus 22:21-24 make no mention of a societal welfare system which may suggest that such care for widows was only gradually institutionalized over the course of time. Thus, the protections and provisions available to the widow were probably infrequent at best. Next week we will look at the options available to a woman with no children and no husband. Steinberg, Kinship and Marriage, 16. Steinberg, Kinship and Marriage, 77. Paula S. Hiebert, “Whence Shall Help Come to me: The Biblical Widow,” in Gender and Difference in Ancient Israel. Peggy L Day ed (Minneapolis: Fortress Press, 1989), 128; Van der Toorn, From Her Cradle to Her Grave, 134. Marsman, Women in Ugarit and Israel, 293. Van der Toorn, From Her Cradle to Her Grave, 134. The ancient widow’s need of protection is highlighted when Hammurabi declares in the epilogue of the law code that part of his mandate from the gods is to protect the widow: “The great gods have called me . . . That the strong might not injure the weak, in order to protect the widows and orphans.” In a society where kinship provided identity and protection, the widow had none (Hiebert, “The Biblical Widow,” 130). A.A. Anderson, 2 Samuel (WBC 11; Dallas: Word, 1989), 188. In some cases the woman may have a dowry or some other means of support, but if these sources were non-existent or exhausted, charity was her only resort (Raymond Westbrook and Bruce Wells, Everyday Law in Biblical Israel [Louisville: Westminster John Knox Press, 2009], 101). Van der Toorn, From Her Cradle to Her Grave, 136. Imagery and metaphor are the language of religion. We will all use earthly pictures to convey the meaning of theological concepts. The Bible is full of images. Think of Psalms and Proverbs and the way that imagery is used. God is called a “rock” and “fortress” in Psalm 18:2. Students of Wisdom are told to write their lessons upon “the tablet of your heart” in Proverbs 3:3. People use that which they understand in order to describe and explain that which they don’t. In the New Testament imagery abounds and is found in the teaching of Jesus at almost every turn. He is constantly comparing the Kingdom of God to this image or that. But coming to grips with how to interpret this imagery is not always easy. Do we really think God is a literal rock? No, but what does the image tell us about this God? In her book, Images of Salvation in the New Testament, Brenda Colijn examines some of the more important imagery in the New Testament as it relates to the theology of Salvation. The focus of Colijn’s study is to determine, “What does salvation look like”? (p. 23). The book is an exercise in New Testament theology. Colijn is aware of the debates and pitfalls that are associated with such a task. She carefully avoids talking about biblically based theology. Rather, her focus is on theology contained in the Bible. She is looking at the theology of the New Testament writers and teasing out what their use of imagery can tell us about salvation. In other words, she does not start with a definition of salvation and then work backwards to find passages that support that definition. She is attempting to allow the authors to communicate their own message about salvation, albeit through images. The book is descriptive rather than prescriptive (p. 29). She does not outline “the way to salvation” with the various steps one must take. It is also not comprehensive. It does not say everything there is to be said about salvation in the New Testament. In fact, it is more evolutionary in focus. 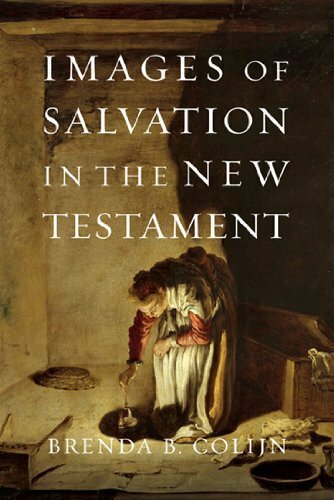 Colijn helps her readers to see how the concept of salvation has developed not just within church history, but within the New Testament itself. The book has thirteen chapters. In the first chapter she discusses her methodology for approaching the subject. In the next twelve chapters she looks at a variety of images related to topics including Inheritance/Covenant, Deliverance, Slavery, and Election. Each chapter is written at an accessible level covering the topic in an introductory, non-technical way. Each chapter opens with a personal story that helps to connect with the reader. Although introductory, there is sufficient evidence of research and interaction with a variety of scholars. Each chapter is complemented with a bibliography that will help the readers to pursue further reading on the topic. In the conclusion Colijn lists seven features that rise up in her study and can challenge our theology. They are: 1) Salvation is not first of all about us, but about God; 2) Salvation is based upon the whole career of Christ, not just his death; 3) Salvation requires our allegiance; 4) Salvation is fundamentally covenantal; 5) Salvation is inescapably social; 6) Salvation is transformational, not transactional; 7) Salvation is Eschatological. Overall this is a valuable contribution that highlights the importance of salvific imagery to our theology. If there is any drawback to the volume it is that the topic of each chapter could be the subject of a separate monograph. On a number of occasions I found myself wishing she would say more. This is not a criticism of Colijn’s work but rather an acknowledgment of the importance of it. All of these are topics that need to be introduced to and understood by students. With the helpful bibliography at the end of each chapter readers will be well positioned to learn more. The chapter on Justification and Faith(fullness) is particularly praise worthy. In 21 pages she skillfully distills down the issues related to the New Perspective on Paul and the debate surrounding subjective and objective reading of genitive nouns. I have decided to require this chapter for my Introduction to the New Testament and Exegesis of Romans class. Colijn wrote the book for her seminary students, but it would be accessible to the interested lay person as well. I can easily see this book being used as part of a small group discussion. I highly recommend it. I also want to thank the folks at IVP for sending me a free copy of the book. As has been my habit on this blog in the past, I will give away a copy of the book on Friday. So stop back again on Friday for a chance to win. I would not believe it if I had not heard it with my own ears. Good Ole D. A. Carson has branched into music. But no just any music. Carson is now teaming up with a Pastor/Rapper Curtis Allen to bring you the Westminster Confession. Ok, Carson does not actually "rap" but he does provide some intermittent dialog about the confession. Is Carson "emerging" into something new? Thanks to Phil Vander Ploeg for pointing this out.